Chris read law at the University of Leeds and holds a Masters Degree in Public International Law from Kings College London. He joined the firm in 2009. Chris qualified as a solicitor in 2013 and was appointed partner in 2018. 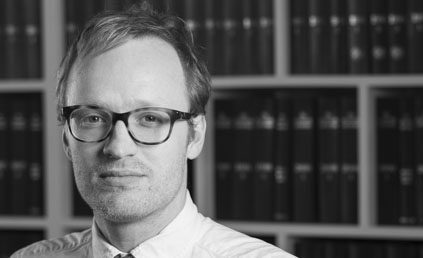 Chris has a varied practice across a wide range of immigration work, including asylum and human rights cases, nationality cases, cases involving EU law, appeals and criminal deportation. He advises both private and legally aided clients. He has considerable experience in applications and appeals at all levels, including Judicial Review applications and appeals to the Court of Appeal. Chris has a particular interest in complex political cases, and has experience of running cases with a national security element before the Special Immigration Appeals Commission (SIAC). Chris also has significant experience in sexuality and gender based asylum claims. He acts regularly for vulnerable clients, including those with severe mental or physical health issues. Chris also provides advice to individuals wishing to make applications under Tier 1 of the points based system, and to companies wishing to obtain a sponsorship licence under Tier 2 of the points based system.